We get your gears moving. If your project is just starting off or already underway we can jump in at any point and make sure all gears are turning correctly to move move at the maximum speed necessary to finish on time and on budget. Need to shift up quickly? Is your Startup spinning its wheels? Could use a little help from some veterans? Let an our experienced team help get all your gears moving. Life's a game, lets make work fun. 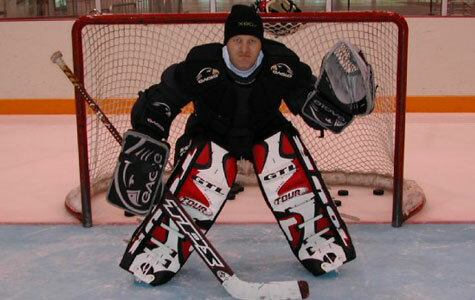 Golden Gear is led by 25-year industry veteran Chip Pedersen. Located in the frozen tundra of Silicon Prairie also known as Minneapolis. Chip has held senior positions at Microsoft Game Studios, Activision, Griffin International and Outdoor Partners Entertainment. His experience covers numerous platforms and genres and he has directly managed AAA development teams of 60+ professionals. Prior to joining the gaming industry, Chip honed his tech skills as a Research & Development Specialist at Apple Inc. in Cupertino, California. Chip’s team building philosophy centers around one key concept: the project always comes first. Whether it’s strapping on motion‐capture goalie equipment for NHL Rivals, spending three days in the desert learning to shoot for the game Soldier of Fortune: Payback, or heading to the Boundary Waters to research lures for Bass Pro Shops: The Strike, Chip is one of those rare developers who not only creates games, he lives them. "You know the oft-told analogy of a duck: calm and quiet above the surface but paddling furiously below? That would be Chip. Rarely have I been around a person who has such a firm grasp on the top-down view of a project, and is also able to know when and how to push the right buttons to keep others on his team focused and on schedule. All the while, he is working his tail off to ensure that everything stays under control. Yet it is his calm demeanor which is the additional element that makes him such a great leader. Even in the most chaotic situations Chip always maintains his cool and keeps everyone else from panicking"
"Chip played a vital role for me at Griffin International as Director of Gaming. 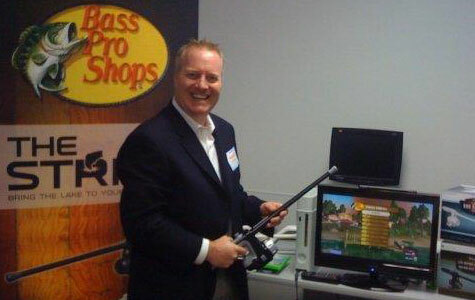 He was instrumental in managing the construction and development of the world's first truly interactive fishing game with custom controller - Bass Pro Shops The Strike. Chip effectively tackled large issues systematically and with an organized approach. On a daily basis he dealt with issues ranging from software development bugs, hardware production complications and orchestrating demos and PR activity. His exceptional project management and problem solving skills allowed him to excel in that high-paced and high-stress environment - and come out smiling on the other end. Chip would be an asset to any organization and I highly recommend him." "Working with Chip was a pleasure and it was great to get to know such passionate & highly-motivated professional. He has an excellent feel for what's required in a project. He has extensive experience in working directly with developers and QA teams to push for those hard deadlines. Chip was very well respected by our team throughout our partnership. He has a keen eye for detail and very knowledgeable in a wide range of business in games"
"I reported to Chip for several years and found him to be a very good supervisor. No matter how top-level his responsibilities were or how many meetings he was in and out of, he always found time to play the latest build of the various games we were working on. He knew when to intervene in situations and when the people involved could handle things well without help. I think the thing I liked best about working for him was that I felt like he was a trusted friend, but somehow he simultaneously retained his clout as someone I needed to be fully accountable to - in my opinion, that is a difficult balance to strike"
"Chip is first and foremost a great manager. He is the man who taught me what it is to be a producer. He did this in the most effective manner, not by telling me directly but by steering me in the proper direction and helping me come to the realizations on my own. Chip is a compassionate leader who is firm but fair and in all my time working under him I always felt as though he understood exactly what was happening with me and took all information into account to make the best decision. To this day, 2 years since we have worked together, Chip continues to be a friend and mentor and I truly believe that without him my video game career and all the success I have achieved may not have been possible." "Chip is a true professional and is very experienced in video games development. One of the best people I ever worked with and one of the best producers, he really knows everything on how to develop a product. I learned a lot from him." 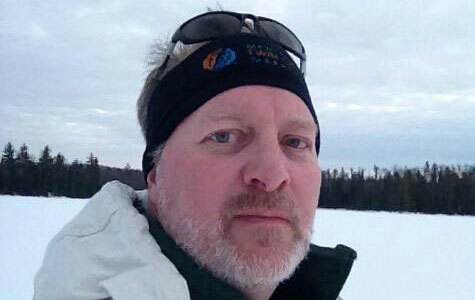 "Chip is a consummate professional who brings a wealth of expertise to interactive game development and publishing. His integrity and professionalism are above reproach. I have and will continue to seek out opportunities to work with him wherever he may be." - Ed Dille, CEO FOG Studios, Inc.